First taught to make cheese almost 20 years ago (and having also undertaken training in commercial cheese manufacture) qualified teacher Louise Talbot combines her passion for cheese and teaching others new skills, at her Cutting the Curd Cheese Making Classes. 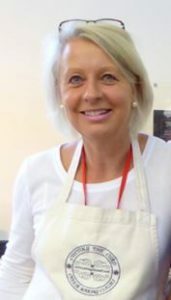 Louise is a member of the Specialist Cheese Makers Association and The Guild of Fine Foods and guest tutor at many Cookery Schools, including Waitrose, Leiths School of Food and Wine, Divertimenti and WI Denman College and is also a World Cheese Awards, Global Cheese Awards and Great Taste judge. Mother to two grown-up sons in agriculture, Louise is very concerned about global food production and food security in the future too.